Below are some items to have in the classroom that prove to be handy. Please note that it took me 5 years to accumulate many of the items listed below. 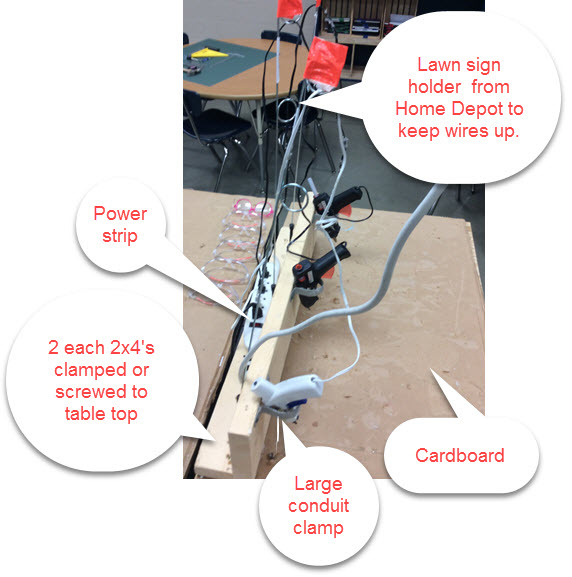 Things like the glue station is already on it’s 3rd prototype. 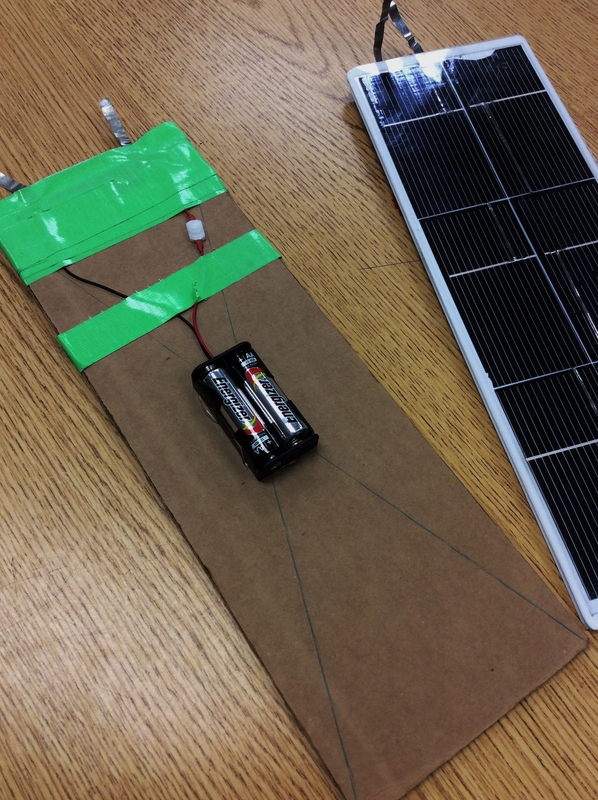 Each team of 2 to 4 students needs to have one panel and one motor. They can choose to bring in their own gears, axles, wheels etc., but the following kit help immensely. Note that the motor must have alligator clips. Extra gears, motors, and axles. Can be bought separately from Solar Made or anywhere else. They will sell you extra individual parts if you call and ask. FYI: Gears and wheels have 2mm hole. I’ve found small diameter straws work best. Note – I keep all parts in two containers. Great for fabricating the guidance system. Get mine from the school office supplies. Big ones are better. Drill gauge (optional)Great for putting gears on axle as well as taking them off. Get metal one. To draw perpendicular lines on chassis material. Good for placement of axles so that they are parallel. for long haired girls and guys. To drill holes in chassis material like wood to accept axles.